Sympathy is common. Knowing the exact shape of the hole someone’s loss leaves in your heart is rare. Faith isn’t never having any doubts; it’s having what you need to overcome them. I won’t bore you with the end of year and deadlines reasoning. There was a time crunch, now it’s hopefully over. On to more important things like how this book utterly slew me. And resurrected me. And then slew me again. Be very gentle, I’m an emotional book basket case in the very best sense. With the conclusion of a beloved series, there is an exciting mixture of anticipation and dread. Will character X survive? Will my ship YZ sail? Will character Q get their just deserts? Will the brilliant, lovely, wicked, wonderful, clever, amazing author deliver on promises, exceed expectations, and smash and then piece back together this fragile reader heart of mine? 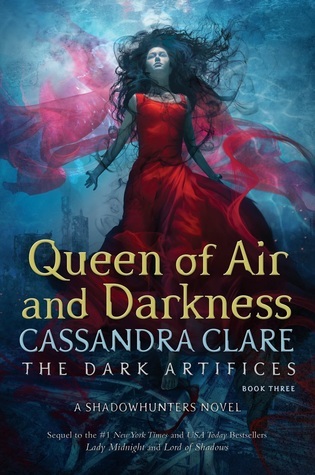 I am very happy to report that Cassandra Clare answered and did all that – and more. So much more. It’s hard to truly express how much I adore Cassie and what her books have done for me and, in turn, mean to me. In that regard, you could say that I’m very biased and more likely to forgive anything. And you would be right. At the same time, I still think that I’m impartial enough to recognise a brilliantly told story by a very talented and hard-working author when I see one and also call out sloppy writing where it occurs. There is, in my opinion, a lot going on in the former departments and none in the latter. This book is a more than worthy conclusion to an epic narration while at the same time opening up so many possibilities in various directions. I’d be willing to enter two (connected) wagers: Most readers of this series will also have read at least one other Shadowhunter series, possibly more. And most readers of this series are going to read at least one or more of the series that are going to be published over the course of the next few years. 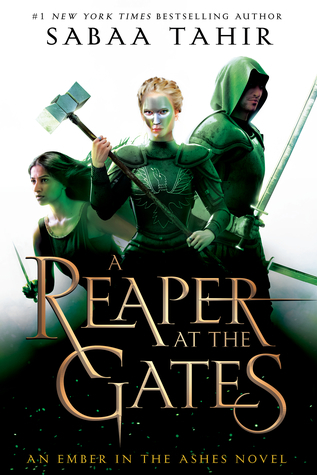 Readers of this story universe are an incredibly loyal bunch as far as I can tell and this loyalty is in part of course inspired by the quality of the books themselves but also by the quality of the woman who created this universe. So yes, I’m immensely biased but I’m so immeasurably in love with this universe and the enormous cast of characters (not in love in love with some of them, because of reasons, obviously, but in love with how utterly well-realised they are). There were tears of joy and sorrow, incredible and hysterical laughter, nail-biting, hair-tearing, hand-wringing, surprise-giggling, content-sighing, terrified-gasping, and a binge-read late night/early morning sleep deprivation finish. This book was all I could have ever asked for as a final part of this leg of the journey … and then it was so much more. I hugged the book after I closed it because Cassie wasn’t there to be hugged but hopefully I’ll get the chance to make up for that at some point. I’m easily getting a little (okay, a lot) emotional so I’ll finish up with saying that I cannot wait to read whatever comes next in this world. And from Cassie in general, of course. Do you have a favourite author to whom you feel a special connection, be it “just” through their book or also through other circumstances? Share your thoughts and teasers in the comments. 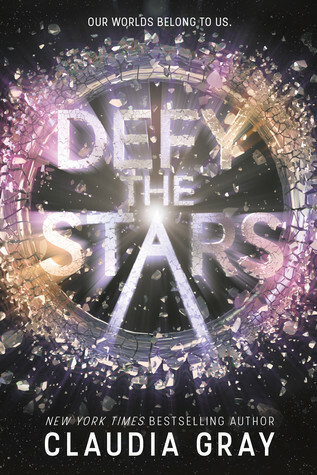 Defy the Stars by Claudia Grays. He isn’t supposed to hope. Not like humans do. Are we responsible for this? We can’t be. We’re the good guys. In honour of InSight safely landing on Mars … right, who am I kidding, my reading pile has absolutely nothing to do with the NASA Mars mission but it sounded nice. And the more we explore space the less improbable things like what happens in this book appear. Usually, plots similar to this one would start with humanity being in need of help and Earth being depicted as the victim. Toss that notion right overboard because in this case, there is humanity and then there’s Earth, and humanity from Earth is the aggressor after the planet has been grazed. Civilisations on other planets have to pay tribute because of the whole cradle of humanity thing. And then there are those planets that try to fight this. And one of those skirmishes is exactly where the plot drops you. And also right in the situation that apparently there are androids that are almost perfectly human … but they are androids and therefore have no feelings. Right? The premise here is twofold: What if anything makes someone/-thing human and can two entities that are at an unlikely impasse work together with different but ultimately similar goals? The mortal enemies to trust to more has been done before but this story is so nuanced in its exploration of what it means to feel and be conscious that to me it ventures beyond that worn out path. I’m not really a fan of sci-fi and space travel and the like generally make me more likely to close a book than continue reading it yet here the different planets even if only visited briefly had such a specific quality to them that it was more an added bonus than anything else to me. Well, and then there’s the end … or should I say that part where I’m extremely glad that the following book is already available? I used to want to become an astronaut … mostly for the reason that I thought zero gravity would be incredibly cool. Maybe not the best motivator. Would you want to space travel if it were (relatively) easily possible? Share your thoughts and teasers in the comments! Five Feet Apart by Rachael Lippincott with Mikki Daughtry and Tobias Iaconis. The only thing worse than not being able to be with her or be around her would be living in a world that she didn’t exist in at all. Especially if it’s my fault. She’d make a wish and she’d never, ever tell me what it was. She used to joke that if she said it out loud, it would never come true. This book is out today and I predict that it’ll increase the national sales of tissues by a sizable amount. If not today then at the very latest when the movie comes to theatres at the end of March next year. At least in the US (and Lebanon, apparently? ), international dates are still pending. Anyway, because of reasons (don’t you love those), I’ve had the extreme privilege to have my heart broken by this book already. And yes, that’s an intentional almost quote of another successful book with a hugely successful movie. Every once in a while, there comes a book across my table that has a storyline that sounds wildly familiar in a genre you think you’ve seen everything in. Especially, if there was a book that first blew everything out of the water and then spawned quite a few other also not unsuccessful follow-ups. I’m talking, of course, about The Fault in Our Stars and Everything, Everything. Among others. So this could have been just another book about sick kids falling in love in the face of adversity. And that is exactly what this is but I wager to say that it is not, in fact, just another book like those … and several years trailing the others at that, but more a worthy addition to the genre while also expanding it by another factor: an illness that is not so much in the public eye although it’s not at all uncommon, not quite as dramatic because it’s a creeping one, and as of right now devastatingly incurable and utterly terminal – Cystic Fibrosis. This condition is best understood by those who suffer from it, but in a cruel twist, two people diagnosed with CF aren’t allowed within six feet of each other for fear of cross-infection. 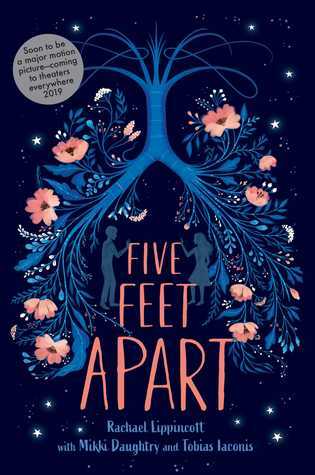 So why is this book called Five Feet Apart if the golden rule is six feet apart at all times? Well, when you are forced to keep your distance even though that person across the distance is obviously your other half, stealing back one foot to feel closer to each other, more connected, can be the most daring and also romantic thing you could possibly do. I am by no means saying that this story is better than those that came before … but I say its intensity is definitely up there with them. If you think that a love story with no touching allowed sounds about as appealing as fish bellies up in an abandoned putrid tank I’ll dare you to read this and come to talk to me again after. In addition to that, there is such a well of other topics woven into the narration that it creates a really dense mesh of story that will carry the heavy plot. Because of course, it is tragic, gut-wrenching, tear-jerking, and heart-shattering. But it is also hopeful, thought-provoking, insightful, and romantic. And because it is fictional, it is allowed to break the rules and be unrealistic in some aspects while also being true to the general topic. The book is not calling on patients to do away with their safety regimen any more than The Fault in Our Stars advocated for smoking when you already have cancer. And if this book and movie help bring more awareness to CF and its medical research than that is more than many other books can lay claim to. Read the book before you see the movie but feel free to watch the trailer here. It certainly doesn’t hurt that the cast seems to be hitting all the sweet spots … although I’m still trying to figure out who this Meredith person in the cast list is because there definitely isn’t a Meredith in the book and I can’t imagine that Claire Forlani is some throwaway bit-part. I’m mentioning this because the book is based on the script (as opposed to a movie adapted from a book where everything is more or less fair game) so it seems a little weird to have apparently other people in the movie than in the book. But then again, maybe the name was changed or the cast list is not yet correct. What’s in a name, right? Which book with a seemingly worn out plot has recently captured your interest? Share your thoughts and teasers in the comments! Hope is stronger than fear. It is stronger than hate. Everyone believes that nothing concerns them until the monsters are knocking on their doors! There were way too many amazing, insightful, funny, heart-wrenching, wonderful quotes to choose from in this book. Sabaa Tahir writes with an immediacy and emotional impact that always stay with me even after I’ve finished the story. In preparation for this one, I listened to the previous two books because of all the details I was sure I’d forgotten. It had been two years after all. As a result, I now have very distinct voices in my head (apart from the usual other voices) depending on whoever’s point of view it is. Third books can be the saving grace or downfall of a series, no matter if they’re the final book or not. The second book had set a fairly high mark to aim for and this one quite confidently reaches it. I felt there were a few minor lengths that keep me from giving out the highest of praises but it’s really more of a cosmetic blemish. Two of the three perspectives were just so damn strong and driven that I felt the third was a little flagging … but seriously that’s complaining about a wisp of cloud in an otherwise blue sky. The end fairly thoroughly wrecked me. Not in a hit you with a hammer way but more with the momentum of a mudslide that builds up over time and when you realise what’s happening you’re about to be buried by tons of (emotional) rock. I know that the hero’s journey includes a moment where all hope is lost and a steep price has to be paid and so on. But do the prices have to be like this? At least please tell me that the next book will be out in a year. All this emotional trauma baggage is really hard to keep track of and drag around. Do you have audiobooks that influence how you read certain books now? I also have this with Harry Potter, which will forever sound like Stephen Fry in my head. Share your thoughts and teasers in the Comments! 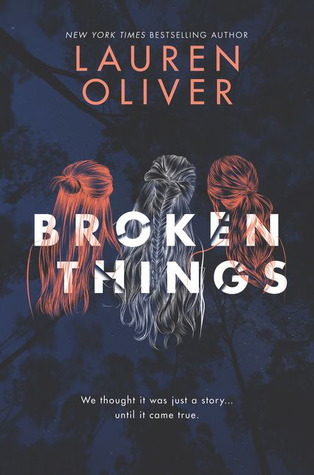 Broken Things by Lauren Oliver. That’s the story the way everyone tells it, at least, a story repeated so many times, accepted by so many people, it has become fact. It started snowing. Flurries at first. But soon fat flakes were coming down, as if the whole sky was chipping away slowly, and I was freezing, and I’d had enough. Children’s fantasy can be overboarding and children can be cruel. Even and especially in combination and to each other. When all evidence seems more than clear it is no wonder when the murder of young Summer is put on her two best friends Mia and Bryn. The only reason they’re not convicted is an error in procedure. But everyone is convinced they know how it happened. Bryn has even checked into a psych-ward and Mia has closed herself away from most of the world. Only – they really didn’t do it. And now, five years later, the truth finally wants out. So far, I have known Lauren Oliver for her post-apocalyptic and yet deeply romantic writing. But wow can this woman write dark and twisty thrills (with also a side note of love, but it’s really just a trace). There is so much going on besides the murder investigation and possible danger to the main characters. There are questions of identity and family and not least of all of friendship. On first glance, you wonder how three girls that are so different could ever be best friends. Where is the line between a bossy friend and a manipulative aggressor? Toxic friendship is definitely something that can and should be addressed in more contexts. I immediately fell for this book, its rich narration and well-developed characters. The twists and turn felt very thoughtfully planned and executed. I want to say more about the twist but that would definitely be spoilery so I’ll close this with a very blunt recommendation for everyone who likes reads with depth and a certain thrill factor. Do you have an author switch genres with such an ease that you happily follow them across books? Share your thoughts and teasers in the comments!